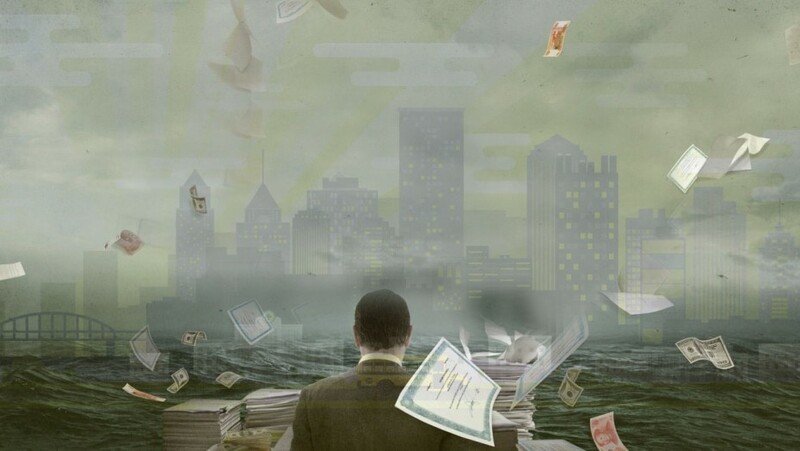 The Panama Papers, the largest ever leak of documents from a secrecy jurisdiction covering nearly 40 years of record and 210,000 companies in 21 offshore locations, are headline news across the world. When prime ministers, politicians and businesspeople are linked to secretive offshore assets, one can’t help but wonder what happens when they do business with each other. Especially when their governments are giving out public contracts. Making sure that these contracts are awarded based on prior performance, best value for money, and in the interest of the taxpayers requires a fair and open selection process. It can be difficult to see who the real winners of public contracts are and where the money goes. Contracting records often include limited information about the companies bidding for public contracts. Where company registers do record the owners of companies – and some like Panama’s clearly make a selling point of not doing so – it’s nearly always the legal owner of a corporation, rather than the people who ultimately control it or profit from it. Identifying the latter, a company’s ‘beneficial owners’, is key to protecting public integrity and avoiding conflicts of interest. Legal owners of a company can be another company, a nominee director or proxy such as a lawyer who forms the company on somebody else’s behalf as the Panama Papers illustrate. This Idiot’s Guide from Global Witness shows how easy it is to use layer after layer of these shell companies to hide your identity, if you are a terrorist, a drug trafficker, a money launderer or a dodgy contractor. Given that public contracting is government’s biggest corruption risk, how do we bring open contracting data and beneficial ownership information together to make sure we can see who won which public contracts, for how much, and whether those services were actually delivered? An open contracting process starting at the planning stages. Each contract needs a unique ID so it can be tracked across its lifecycle: from planning, to tender, to award to contract to implementation. A global beneficial ownership register of companies that the government is making deals with. This registry must include unique IDs for each company, its formation details and information on its beneficial owners. It should also act as the bridge to all public contracts. At the heart of open contracting is a global, non-proprietary data standard, the Open Contracting Data Standard (OCDS) that produces open, accessible and timely information on government contracting. All information in the data standard is structured around the unique contract IDs that are traceable across a government’s contracting cycle. Conventional e-procurement platforms focus on the internal effectiveness of public procurement. In contrast, an open registry of government contracts enables proper public monitoring of government procurement and spending across agencies, and also rewards open and fair competition for contracts rather than cronyism. A unique company ID is the key to publicly linking contracts and companies, and to their beneficial owners. This may seem straightforward enough, so why hasn’t it worked so far? In practice, company names are sometimes used as identifiers in contracting records. But frequent inconsistencies in how these names are documented – for example, ABC Consulting; A.B.C. Consulting; ABC Consulting Ltd. – leading to mismatching in records and making it impossible to gain a full understanding of government business with that company. A corporate ID, on the other hand, acts like a universal barcode for all an entity’s transactions with the government – and other governments. The contracting record should include the corporate ID of the company involved, and the same corporate ID should link the company to its beneficial owners in a corporate register, enabling detecting corruption, cronyism or conflict of interest. While these IDs already exist, their use even in highly developed procurement systems is the exception rather than the rule. In Europe, for example, less than third of the countries include them when announcing contract awards. Some governments use proprietary IDs, known as DUNS numbers, that are harder to track since they can’t be publicly shared without the permission of the company that owns the ID: Dun & Bradstreet. DUNS remains common because, to its credit, the company provides corporate analysis and data that may facilitate internal due diligence. A shift to open open source and non-proprietary IDs is currently being discussed, for example, by the US government. DUNS numbers also may not map 1:1 with the actual companies (unlike emerging open standards such as the Global Legal Entity Identifier System). The first countries, such as the UK, are starting to make sure their corporate registry records include beneficial ownership information. This means that recording the UK company formation number (at Companies House, the UK corporate register) will give you a direct link to a company’s beneficial owners relatively easily. However, not every company applying for a government contract may have its beneficial ownership published in an existing register, especially if they are registered overseas. Filling out detailed ownership information and updating it every time a company bids for a contract would create an unnecessary burden for legitimate businesses and encourage less ethical contractors to game the system, especially if those disclosures are not open and shared. Today, we are announcing an exciting new collaboration to crack this global shell game. As part of an expert team involving OpenCorporates, the B Team, Transparency International, Global Witness, the Web Foundation and the ONE Campaign, we are working on developing a global register of beneficial ownership transparency, where the true owners of companies can be properly identified, eliminating the ability to use anonymous shell companies to hide illegal or corrupt activities. An open and global register will accelerate this, combining public beneficial ownership data, and providing a platform for companies to self-disclose ownership information and encourage more companies to adopt this standard of transparency. A cloud-based platform, which can be accessed by all, that allows companies to self-disclose and update beneficial ownership information once, in only one place. Information on legal entities founded on open data, using unique and non-proprietary identifiers. Clearly operating in the public benefit, to address potential conflicts arising from needing to balance privacy concerns with publishing information in the public interest. A list of each company’s contracts on the basis of open contracting. This global register could also make it easier for companies to know who they are doing business with, reducing risk, and making it safer and easier to work with new clients and suppliers. It will also help investors to vet the companies they are considering investing in. It will prevent abuses of secrecy to hide assets and undue influence. This is a shift we can make. And we have an opportunity to take collective and decisive action at the upcoming UK Anti-Corruption Summit. Better deals mean improved business for reputable companies, better projects, and higher-quality services for government and citizens. All stand to gain apart from lawyers in secrecy jurisdictions. That is not really much of a loss.